Revered as the “father” of American landscape architecture and perhaps best known for creating New York’s Central Park, Frederick Law Olmsted was also a nineteenth Century version of a Renaissance man. 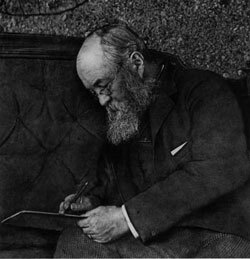 Olmsted journeyed to China on a merchant ship when he was only 21 years of age. He wrote of experiences he had while exploring the Texas frontier; co-founded Nation magazine and wrote early and often against slavery. All of this was accomplished before he won the commission to create Central Park in Manhattan at age 36. Olmsted also managed the largest gold mine in California, and was instrumental in preserving Yosemite and Niagara Falls as national parks. We recommend the general adoption, in the design of your roads, of gracefully-curved lines, generous spaces, and the absence of sharp corners. The idea being to suggest and imply leisure, contemplativeness and happy tranquility. Riverside was the first fully realized rendering of Olmsted’s ideal suburb: a compromise between private and public, between domesticity and community, between the city and the country. 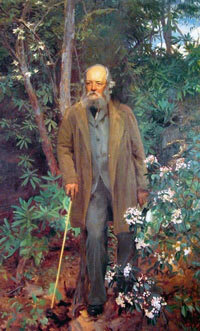 The Riverside Public Library is home to one of the finest collections of books on Frederick Law Olmsted. For more information, visit the Riverside Public Library. Olmsted planted no fewer than 7,000 evergreens, 32,000 deciduous trees, and 47,000 shrubs in Riverside.